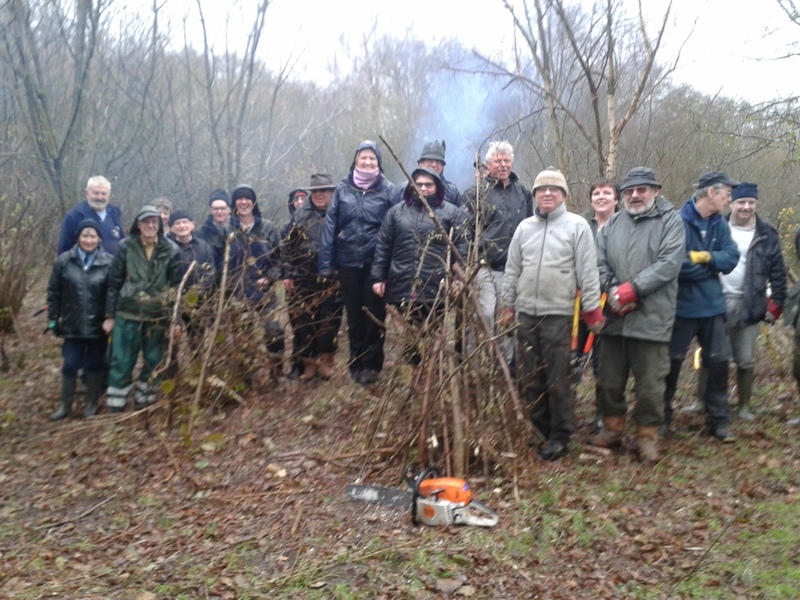 At Moor Green Lakes the volunteers got stuck into coppicing hazel and harvesting the timber. 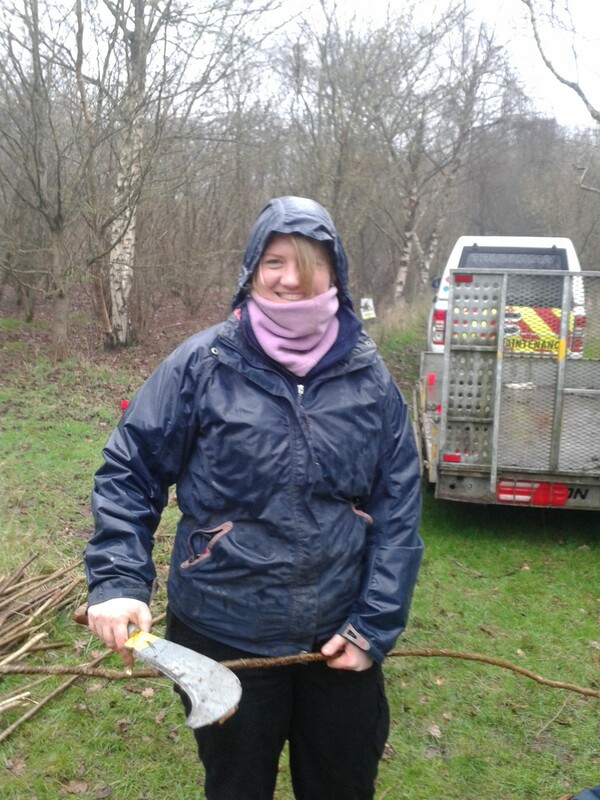 Steph has joined us as an Assistant Ranger, and it was a great opportunity for her to meet the volunteers and chat over a cup of tea. All the newly coppiced hazel stools have been covered in brash wigwams, that protect the new shoots for a couple of years from being nibbled by deer. This gives them a chance to become established and provide a dense scrub for wildlife such as nesting birds. 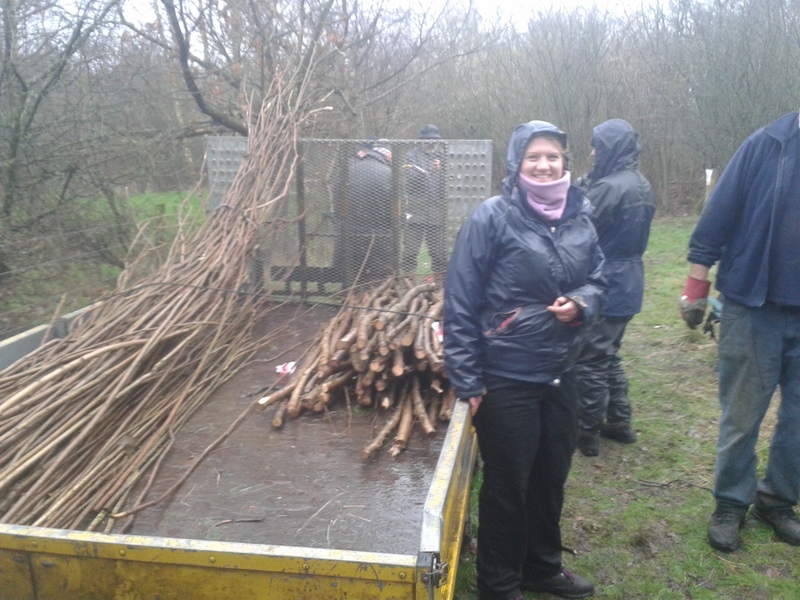 We packed up early in the heavy rain as everyone worked quickly, so we have a good haul of stakes and binders for hedge-laying next week by Colebrook Hide. This entry was posted in Conservation, Moor Green Lakes, Volunteers and tagged Machine, Moor Green Lakes, Tuesday Volunteers, Volunteers. Bookmark the permalink.